Connor Harding is a senior at Hubbard High school and returns to The Hub for another year, this time as Editor-in-Chief. He holds a great interest in events which affect the world and wishes to elaborate and discuss such pressing matters as a global news writer. He believes that news is a staple of information and culture, and only the news that is fit to print should be presented to the public. 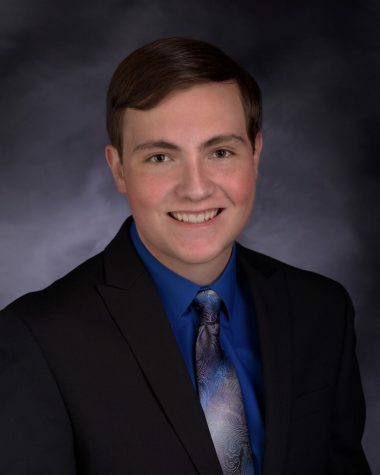 As Editor-in-Chief, he hopes to lead his staff towards bettering themselves in the area of writing and urges them to pursue topics that they are passionate about. Connor is currently enrolled in both CCP and Honors courses as well as a Yearbook class. He hopes to continually maintain a 4.0 GPA throughout his high school career and graduate in the top 10 students of his class. From there, Connor hopes to attend college at NYU or University of Pittsburgh and receive a degree in Journalism or creative writing. Connor is currently part of the Academic team, Track team, Spanish Club, and Mock Trial. This year he is also a representative for Student Council and a member of National Honor Society. The student news site of Hubbard High School.